Acne is a common problem affecting people of all ages. Acne is caused by a build-up of oil, dead cells and bacteria trapped in dermis layer of the skin- the build-up can be caused by; unhealthy eating habits, sleep deprivation and too much stress are among the common causes. The red inflamed marks can appear on your scalp, face, chest and back. Although there is no definitive cure for acne, there are some natural remedies that can alleviate, or completely cure acne. These are the best 10 natural ways to treat your acne problem. 10. Aloe Vera– Apart from the soothing properties, aloe vera can reduce soreness, inflammation and acne redness. To benefit from aloe, apply the gel directly on the skin several times a day until the soreness and inflammation lessens. 9. Coconut oil– Coconut oil is rich in anti fungal and antibacterial properties- coconut oil is delicate and gentle for skin use and can alleviate acne. It helps fight the microbes and also reduce redness. To benefit from coconut oil, apply and rub in a circular motion once a day. 8. Tea tree oil– tea tree oil is vital oil that is used to treat common skin conditions due to its powerful antibacterial properties. Use a cotton ball to apply oil on the affected parts, at least twice a day. 7. Egg whites– eggs white are effective acne remedy- the egg white can be used as facial mask that can minimize skin pores and lessen skin oil production that would help to avoid acne breakouts. To benefit from egg white, separate the white from the York and apply the white using your finger tips or cotton ball. 6. Ice cubes– the cold ice cubes help to close the pores and also expels bacteria. 5. Lemon juice– lemons are rich in antibacterial and astringent properties to help clear skin. Apply the lemon juice on the affected parts and leave on for at least 15 minutes. 4. Garlic-garlic is not only an extraordinary antibacterial product when ingested, but has incredible antibacterial and anti fungal properties when applied. To benefit from garlic, slice into tiny pieces; rub it on the affected parts and let leave on for 20 minutes to allow pores absorb the juice. 3. Apple cider vinegar– ACV has antibacterial and anti fungal properties make it a very effective natural remedy for acne. To benefit from ACV, dilute few teaspoonful of ACV from in half a cup of water and apply on the affected parts using a cotton ball. For optimum benefits, ensure you only use unfiltered apple cider vinegar. 2. Oatmeal-oatmeal is a powerful anti-acne product because it cleanses skin pores and also absorbs excess oil. Additionally, it exfoliates the skin significantly lessening skin soreness. 1. Baking soda– many people will ascertain that baking soda is the best acne treatment. The baking soda does not only help to reduce inflammation and eliminate acne breakouts, but it is also an exfoliator that helps to remove dead skin cells. Baking soda can also reduce acne marks and old scars. To benefit from baking soda, mix few teaspoonful of baking soda with warm water, stir to make a paste. Apply the paste on the affected parts and leave it on for at least 10 minutes. Although acne can be caused by hormonal changes, the worst you can do is doing nothing. 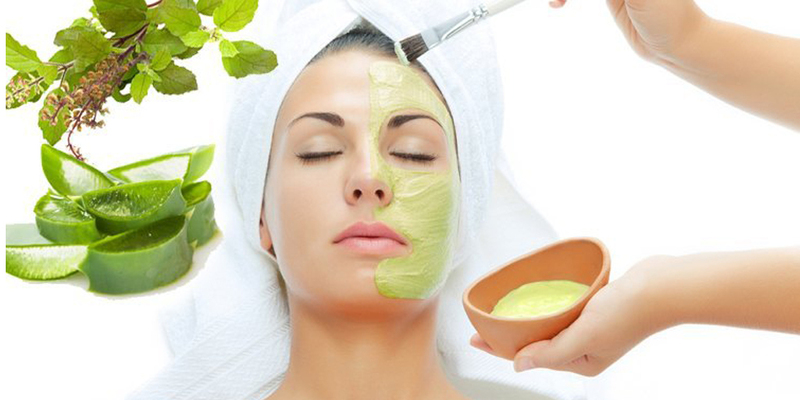 These 10 natural remedies can treat acne.